There are some lovely new Miffy toys at Five Little Diamonds that are perfect for keeping little ones entertained on a weekend away. 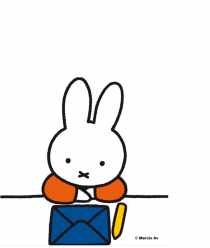 Why don’t you come and join Miffy for a play-date? Take Miffy with you everywhere, with this sweet Musical Television Toy. Just wind it up and enjoy a Miffy story with moving pictures and a lovely melody. The handle is just the right fit for little hands and it’s lightweight enough to carry anywhere. Beep beep, Miffy’s on her way! This colourful Canvas Miffy Truck is ideal for transporting all your little one’s treasures with you. The back opens up wide and it’s lightweight but sturdy, so will survive a few bumps along the way. Little ones can create their own Miffy scenes on the go, with this Block Puzzle. There are six washable blocks inside that can make six different scenes, all inside a bright carry case. Little ones will want to carry it with them everywhere. Miffy loves nothing more than going to the beach and – this Beach Set will help little ones get creative in the sand. The set includes a rake, shovel and strainer, perfect for building a sandcastle or finding buried treasure. To view the full Miffy collection on Five Little Diamonds, click HERE.